"This is our home...we raise our kids here." This holy site began life, fittingly, as an apple orchard. In 1979, two psychology PhD's named Joyce Black and Jerre Sears purchased the property and started planting Zinfandel. Two years later, high above the Napa Valley fog-line, they married there. And not long after that came Ashley. Ashley (Sears) Jambois and her husband, Chris, joined the operation in 2008. Like Ashley's parents, they too wed on the family vineyard, high above the Napa Valley fog-line. 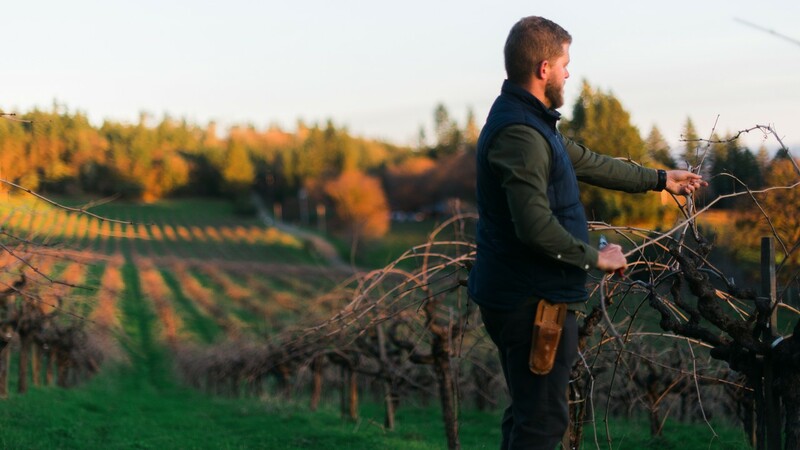 A student of Comparative Religion, Ashley initially had plenty to learn about the grape-farmin' business, but it wasn't long before she was running the joint, pushing farming practices further than ever before. Guess it's in her DNA. Ashley's utmost priority is taking care of the land she grew up on. "If the soil and environment are healthy, the grapes will be too," she tells us. One look around this hearty hillside vineyard confirms that theory. The fruit is robust, dynamic and complex. This is not your average Zinfandel, this is stuff is elevated, celestial even. Perched 2,400 feet atop of Howell Mountain, this might be Napa Valley's only vineyard actually located in heaven. We kid, of course…but not really. The Black Sears vineyard maintains a cultish, legendary reputation amongst growers, winemakers and wine-drinkers. It's damn-near impossible to find a more unique or better-farmed Zinfandel vineyard than this one. Black Sears is one of the highest-elevated vineyards in Napa Valley and enjoys a drier, warmer and more varied microclimate than most. The soil is comprised of ash and iron deposits, perfect for growing full-bodied, peppery Zinfandel. Fruit and nut trees surround the vines, fostering beneficial insects and midnight snacks for the neighboring black bears. The family practices uncompromisingly sustainable farming practices, using organic and biodynamic approaches wherever they can.